We welcome you to our editor’s choice of the best budget wireless routers in 2019. If you are reading here, the chances are you need an easy to use wifi router. When choosing an affordable wireless router the likeliness is you only need the basics. However, when choosing a budget-friendly wifi router there are certain things you need to consider. The first thing is the weather can affect the speed of a router from the affordable one to the expensive model. Why do you need a budget wireless router? If you need a budget wifi router, you can find some of the trendiest ones here on our list. 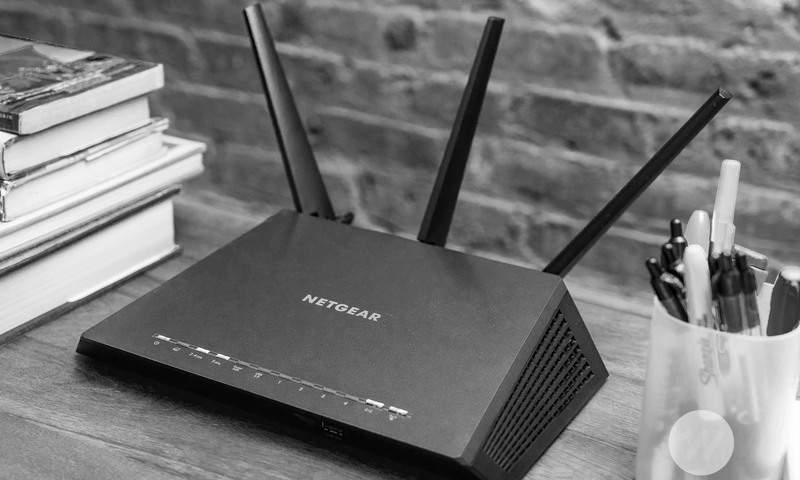 Whether you have a one-bedroom apartment, medium sized home or a small office, you can find an affordable router available here. 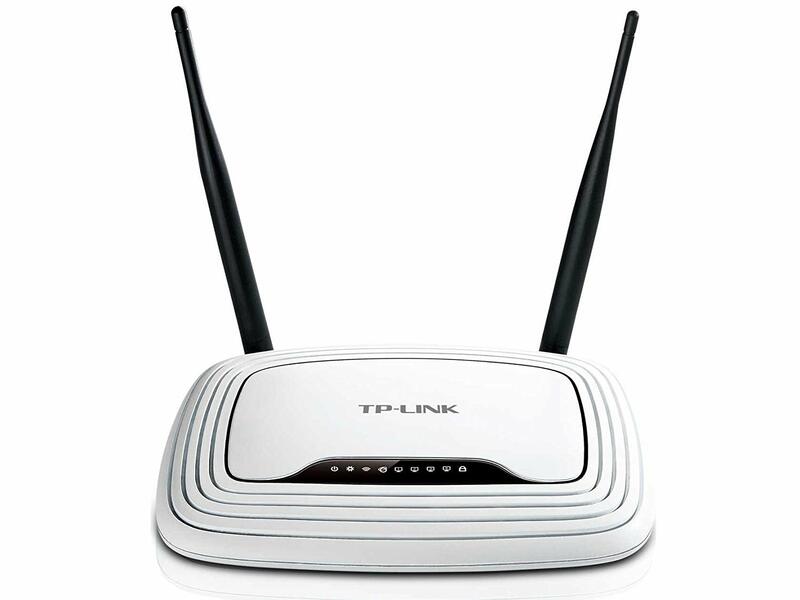 Now for the top contender in the budget wireless router selection is the TL-WR841N from TP-Link. The routers perfect to use at home or in an office. Use the Quick Setup Security button for activating the WPA2 security measures. 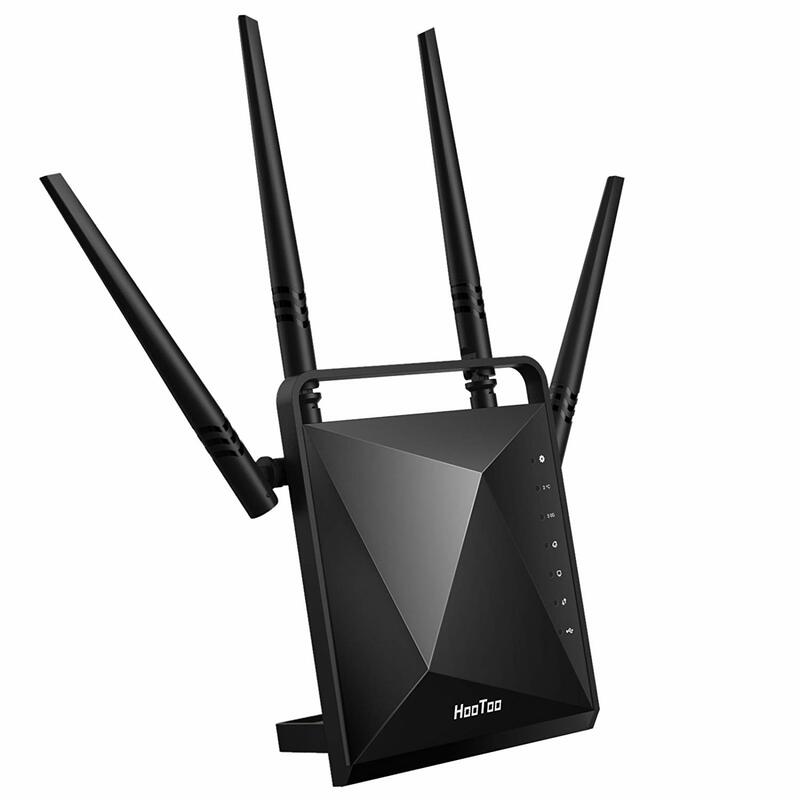 Use the router for online gaming, VoIP and streaming HD movies. The outstanding thing about the TL-WR841N is you can use it as a bridge to expand your network. Control what your kids to online with the parental control and turn the wifi radio on/off. The device includes an auto-mail function and backward compatible with 802.11b/g devices. If you need a stronger signal, you can add an external antenna to the router. With the sleek design, you can mount the wireless router to the wall or keep it standing on a desk. The wifi router gives you up to 300 Mbps speed and with the Tether app set up the router in minutes. TP-Link backs their product with a 12-month warranty. Do you need the best wireless router delivering a great wireless connection? Look at the DIR-818LW from D-Link. The dual-band router gives you a connection speed of up to 750 megabytes per second. The router connects different devices as it has a WAN/LAN and Gigabit Ethernet port. For adding storage devices, you can use the included USB port and the AC750 works with most mobile devices. 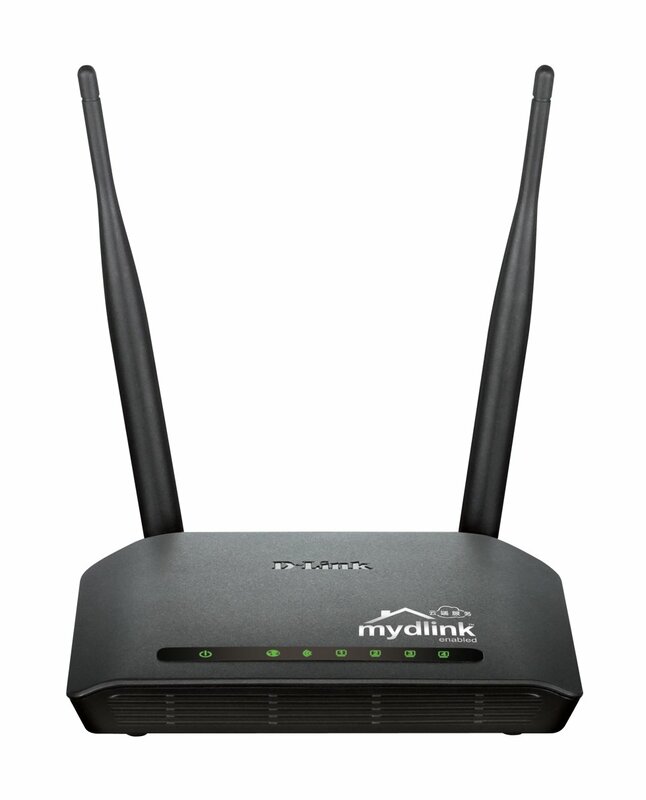 Use the Mydlink Cloud managing system to manage and monitor your home network from anywhere. The routers preset with the latest WPA2 security to keep your devices safe. Block your kid’s device and check what they are viewing online with parental control. For high-speed downloads, you can use the 5 GHz band while the 2.4 GHz band is perfect for normal day use. The other amazing thing is you can choose your color style from four great colors. The DIR-818 wifi routers backed with a one-year warranty and the setup is done via a browser wizard. With the AC750 from RAVPower, you can expand your home network, as it is a dual-band wireless router. You can do more with the 2.4 and 5 GHz bands offering you a combined speed of 733 Mbps. 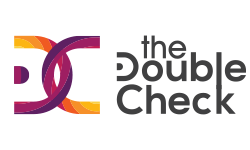 Connect different mobile devices that supports the 5 GHz band. Enjoy faster connectivity as the wireless router has a new generation 802.11ac design. Setting up the device is easy with the included setup guide and only takes 30 seconds. Use the built-in USB port to share media and data files with other users. For making sure the routers working, it has 4 green LED lights found on the front to monitor your device. This allows you to view the power and signal strengths. 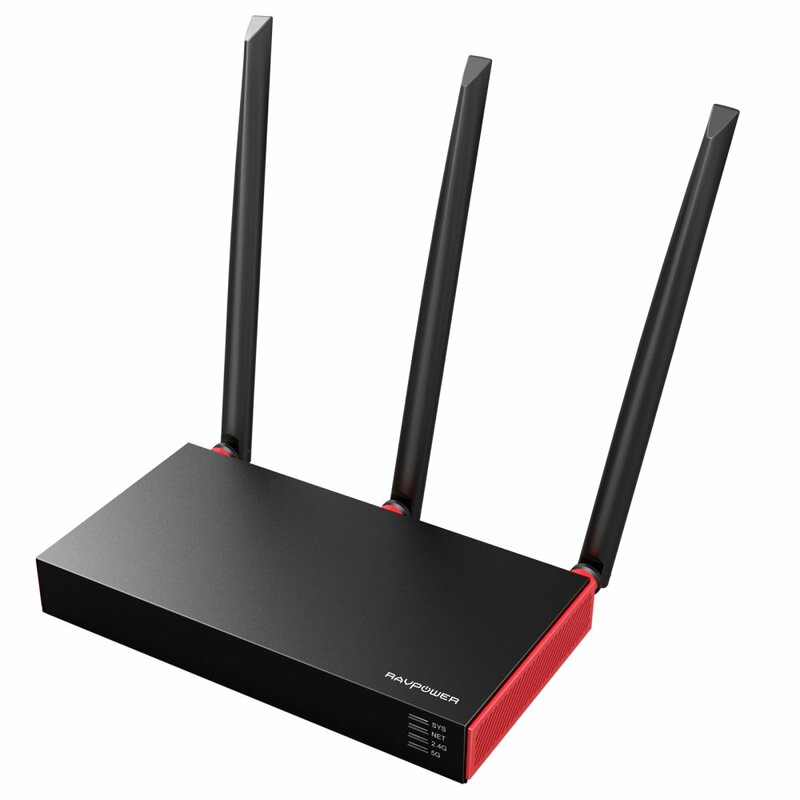 RAVPower backs their AC750 wireless router with a one-year warranty. Get up to 300 megabytes per second with the N300 and with the four Ethernet ports you can connect wired devices. With the push of a button, you get a wireless protected setup that includes WPA/WPS protection. Use the QRS mobile app to set up the router and view real-time browsing history. The router works with standard IEEE 802.11n and 802.11ac devices. For receiving and transmitting signals, it has a two-antenna design. Other prominent features are MAC address filtering, URL filtering, Wi-Fi Protected Setup, and supports NAT. The N300 has a four-port switch, external power adapter and a desktop design with built-in LED lights. The wireless routers backed with a one-year warranty. If you need a home network that can handle both AC and N, wifi devices look at the AC1350 from TP-Link. This innovative router gives you a dual-band connection that is great for surfing the web. The AC1350 has a 5 GHz band offering you up to 876 megabytes per second and a 2.4 GHz with 450 megabytes per second speeds. You can enjoy playing online games, HD video streaming, and live chat. Although it is a dual-band router, you only get one USB port to print and share data. Further, you have 4 Ethernet LAN ports and one Ethernet WAN ports. Control the bandwidth of users with parental control and connect visitors with guest network access. With the Tether app, you can manage your home network with ease. 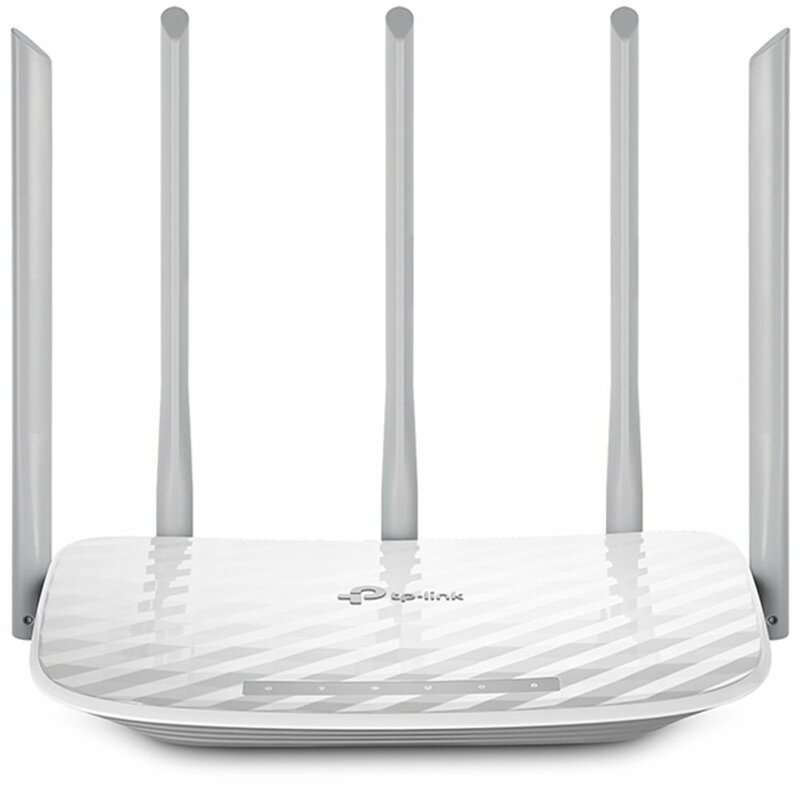 Setting up the router is easy and it has three antennas placed externally on the device. Other features on the wifi router are the WPS/Reset button, wireless on/off switch, power on/off button and two-year warranty. The AC1200 from HOOTOO gives you great coverage with the four included antennas. You can enjoy downloading games, watch movies online, or play online games with it. You can share and store data with an external hard drive connected to the 3.0 and 2.0 USB port. Keep all your files stored on the FTP service. This dual-band router has one 5 GHz band and two 2.GHz bands. With the combination of the bands, you have a shared speed of 1300 megabytes per second. Extra you receive security control, parental control, combined data transfer speeds up to 1.2 Gbps and URL filtering. HOOTOO backs their AC1200 with a one-year warranty. You have a tight budget and a large home and need the best wireless router. 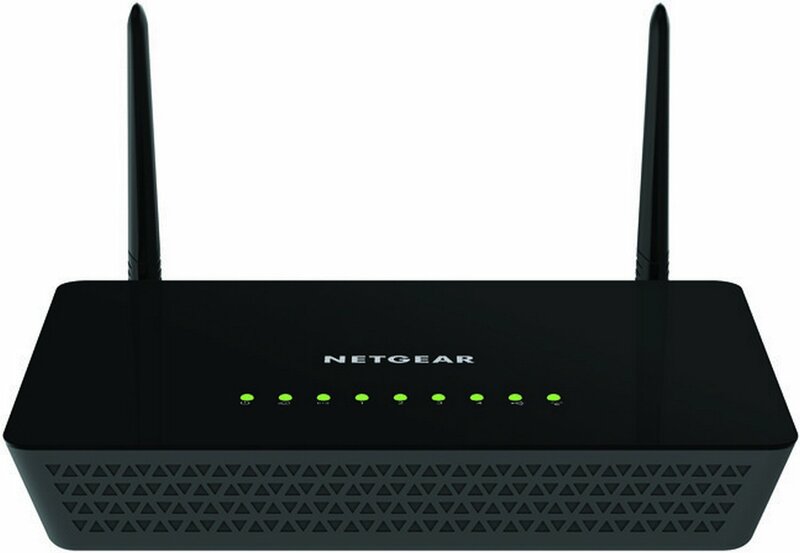 We have good news for you the AC1200 from NETGEAR is ideal to connect multiple devices. Receive up to 1200 megabyte per seconds to download games, videos and connect mobile devices. Use the Genie app from NETGEAR to connect the device and use the dashboard to manage the network at home. You can print data via AirPrint directly from your phone. For connecting external devices, use the 2.0 USB port. With the parental control, you can manage the kid’s bandwidth and pages they visit. Give visitors access to the network with the guest network access to enjoy a secure connection. Other prime features are the push and connect function and on/off power button. 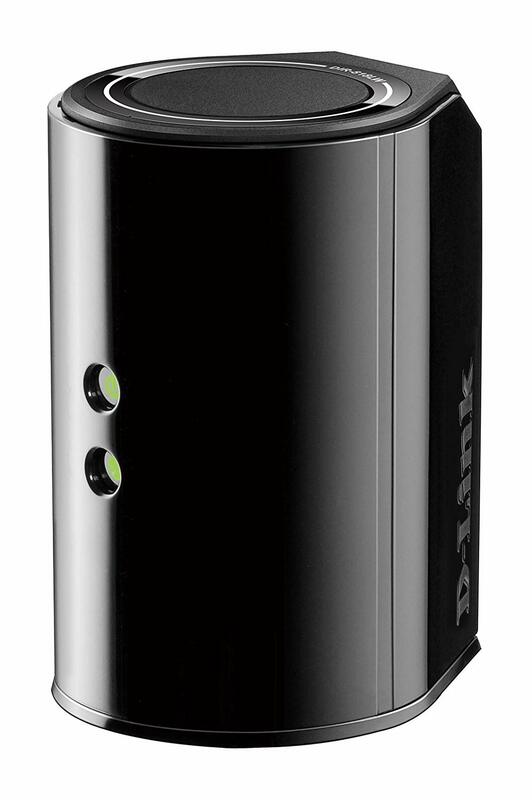 The AC1200 also known as the R6220 has an 880 MHz processor with external antennas for the best wireless coverage. You can connect up to eight different devices to the unit at the same time and connects to dual-band devices. For a smooth streaming, it has the advanced Quality of Service to measure and improve transmission rates. Receive extra a power adapter, setup guide, Ethernet cable, and a warranty card. 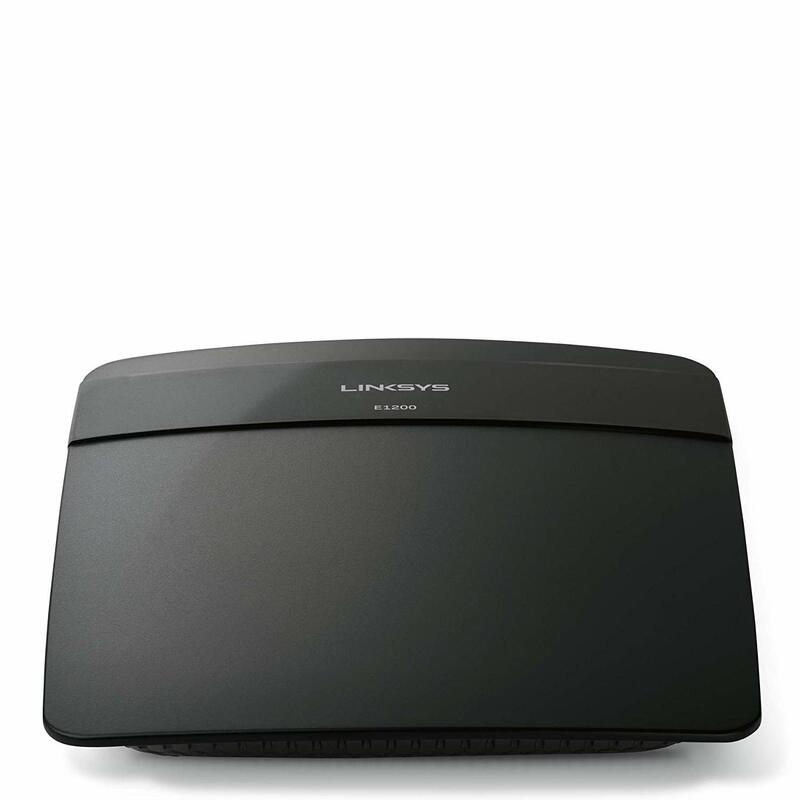 The E1200 from Linksys is another budget-friendly Wi-Fi router. This device offers you a basic setup for using at home. You can download data, play online games, and email with it. The transfer speed is only 300 Mbps and has multiple input and output antennas. Share data to printers and other devices with the four Ethernet ports. For security, the system includes the WPA/WPA2 protection. Use the Cisco Connect software built-into the device for setting it up. For visitors, it has a separate network for them to access the router with a password. Use parental control to block kids from accessing websites. Customize your home network with the Cisco Connect to add or remove different devices. Extras you receive with your router are the power adapter, Ethernet cable, CD-ROM and a one-year warranty. 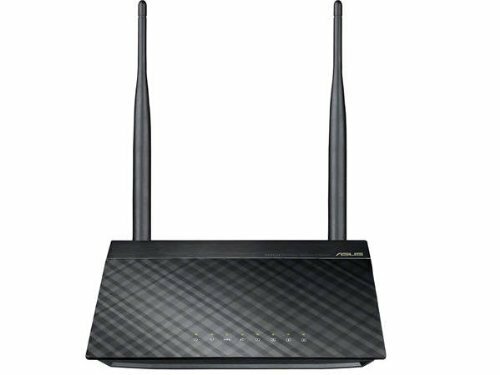 Another budget wireless router is the RT-N12 from ASUS. This three-in-one device also known as the N300 you can buy with a black color. Allocate and manage the bandwidth or give visitors access as it has four service set identifiers. You get a transfer speed of 300 megabytes per second and great for day-to-day use. One standout is the two antennas that are detachable to update with stronger ones. You can use the wifi router with wired and wireless devices. With the four-account setup process, you can control the bandwidth of the individual user. The great thing is users have their own privacy control. You can place VoIP calls and stream 4K HD videos and you need no CD to install the device. All you need to do is to connect the N300 and open your web browser. You will need to enter a password. Extras you receive with your purchase are the RJ45 cable, power supply, 2 by 5dbi antennas, and a 3-year warranty. If you have a tight budget, the chance is you can only afford a budget wireless router. To be honest there is a chance you will compromise different features found in high-end models. You have set your budget limit and we are here to help you find a reliable system with a stable internet connection. With the list reviewed here, you may not get the speed advertised and does depend on the region you live and weather conditions. The other important thing to remember is the type of ISP subscription you have as this can also affect your coverage. However, there might also be one or two models available on our list able to handle all your subscriptions and users connected to the network. So without keeping you in suspense, let us help you find the best wireless router at an affordable price.